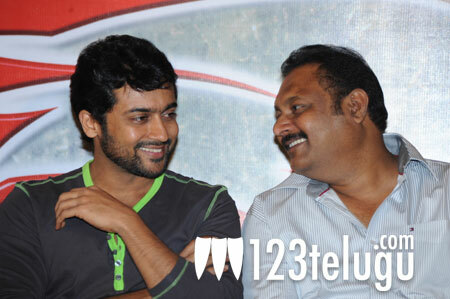 Bellamkonda Suresh has officially announced that he’s going to produce Suriya’s upcoming bilingual film. He was addressing the media at the success meet of 7th Sense earlier today. He stated that the film has taken excellent openings across the state and went to the extent of saying, “The film is going to collect a share of Rs 12 crore in AP alone. I am going to produce Surya’s bilingual in the future in the direction of KV Anand.” Currently Suriya is acting in KV Anand’s Maatran. The shooting is already going on full swing and it’s expected to hit the screens in summer, 2012. Kajal is playing the lead role in this film and Harris Jayaraj is composing the music.